Damn, this week's going to be tough! There's the usual round of openings, but layered on top is that Cinema Arts Festival, which officially opened Wednesday. I've highlighted quite a few of their films below, but you can see their entire schedule at their website, as well as trailers for most of the films. It's a pretty unique festival in that it shows a lot of films about art--visual, theatrical, musical, literary, cinematic, whatever. In addition to all these features that you have to buy tickets for, I strongly recommend you stop by their headquarters 1201 Main (at Dallas) because they have a variety of screens set up for showing experimental animated films that are completely free (there are several other programs that are free in the Festival as well). 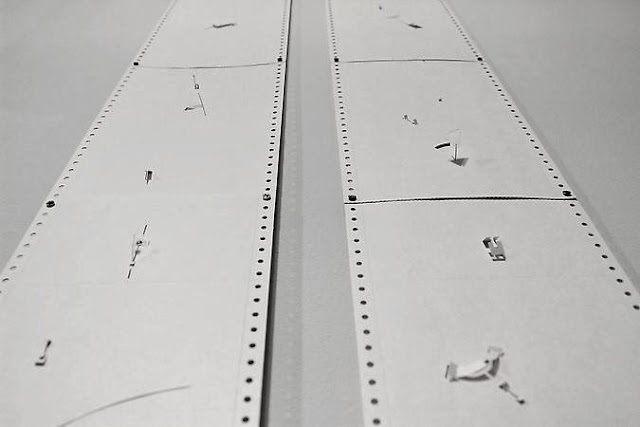 Some of these are classic animation experiments (by Norman McLaren, for example), while some are quite fascinating interactive animations using iPods as the tool for audience participation. The festival headquarters is also where they have "Cinema 16," which is a busy venue for somewhat more experimental films all during the festival. Cutie and the Boxer at Sundance Cinemas, 12:45 pm. The story of octogenarian pugilist painter Ushio Shinohara and his wife Noriko. Shinohara also has an exhibition of paintings opening on Friday at Zoya Tommy Contemporary. Big Joy: The Adventures of James Broughton at Sundance Cinemas, 12:50 pm. Experimental filmmaker and poet James Broughton was a prophet of sexual experimentation in the days before the counter-culture blossomed. Harry Dean Stanton: Partly Fiction by Sophie Huber at Sundance Cinemas, 3:40 pm. The great character actor (Repo Man, Paris, Texas, Alien, and 200+ more) profiled. Portraits of Women Artists: Lover Other / Maya Deren’s Sink by Barbara Hammer at Cinema 16, 4 pm. Two films that sound fascinating: Portrait of Women Artists is a true story about a pair of lesbian surrealists who became Resistance fighters in World War II, and Maya Deren's Sink is about the great experimental filmmaker and her sink. Putting the U in Color by Prince V Thomas, CC Stinson Kavi T, and Jyoti Guptaat the Doshi House, 5 to 7 pm. An exhibit dealing with an issue I never heard of--"colorism"--bias against dark skinned women in South Asian communities. Liliana Porter: The Square and other Early Works at Sicardi Gallery, 5–7 pm. The Argentine conceptualist and her early work. Marco Maggi: Fanfold at Sicardi Gallery, 5–8 pm. Not sure what to expect from this show based on the photos and description, but Maggi has done very interesting work in the past. 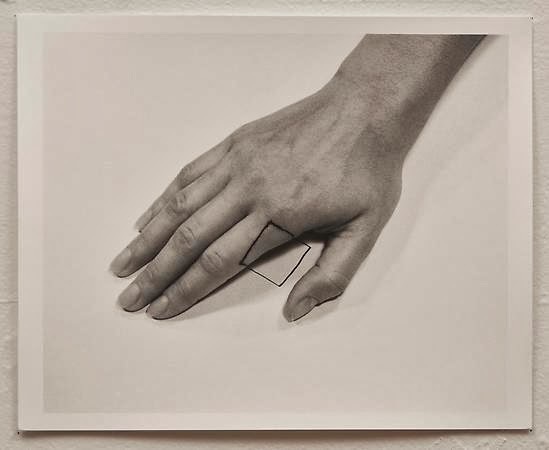 Galina Kurlat: Inherent Traits at Peveto, 6–8 pm. 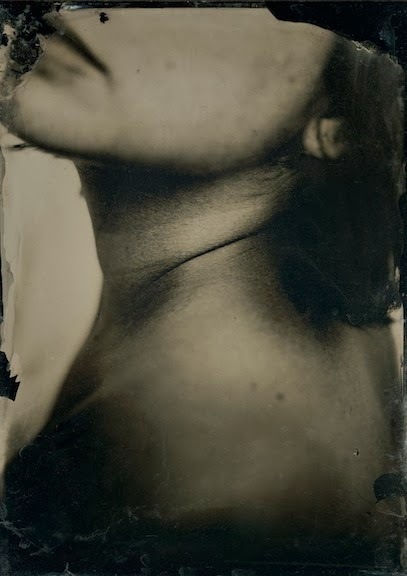 Galina Kurlat creates beautiful photos, and I expect to see more beautiful photos in this show of self-portraits. 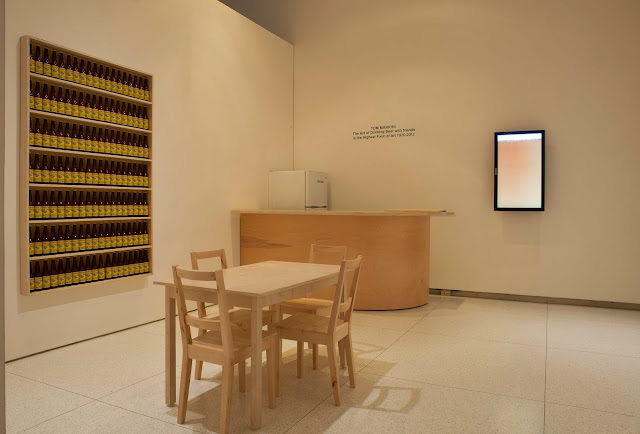 Tom Marioni's The Act of Drinking Beer With Friends is the Highest Form of Artat the BLAFFER Art Museum, 6 pm to 9 pm. A well-lubricated performance of of Tom Marioni's famous conceptual piece, part of their show Feast. 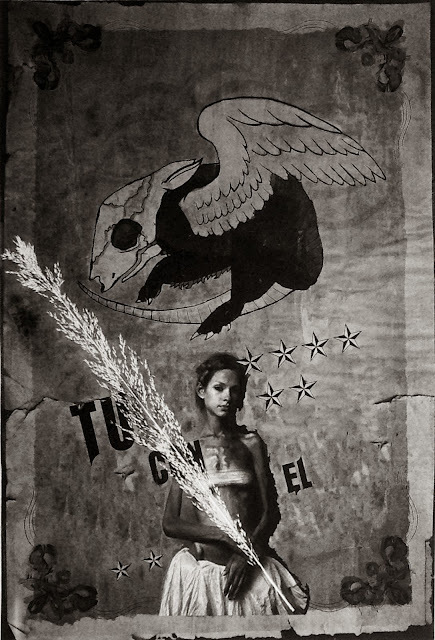 Elvira Sarmiento: Alludere Posada at the Museum of Printing History, 6–8 pm. Continuing with their tributes to José Guadalupe Posada is this solo show by Mexican printmaker Elvira Sarmiento. Shepard and Dark by Treva Wurmfeld at Sundance 2, 6:30 pm. Documenting the friendship of playwright Sam Shepard and Johnny Dark. Paris, Texas at Sundance Cinemas, 9:40 pm. My favorite move set in Houston. The best freeway shots ever filmed! Jamel Shabazz: Street Photographer by Charlie Ahearn at Project Row Houses Eldorado Ballroom, 10:30 am. , and at Sundance Cinemas, 9:30 pm. The director of Wild Style, Charlie Ahearn, turns his camera on Bronx photographer Jamel Shabazz. "CUTIE AND THE BOXER" work by USHIO SHINOHARA at Zoya Tommy Contemporary, 4-7 pm. A pop-up show to accompany the documentary about Shinohara. North of South, West of East at Cinema 16, 1 pm and 6:30 pm. Harry Dean Stanton: Partly Fiction at Sundance Cinema, 1 pm. 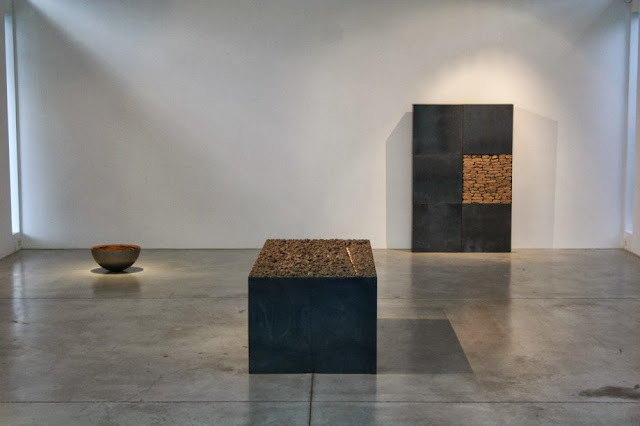 Gerardo Rosales at Avis Frank Gallery, 6–8 pm. His statement says that his art is about "about homophobia, sexuality, violence, loneliness and the imagery of the 'bear' subculture within the gay community." 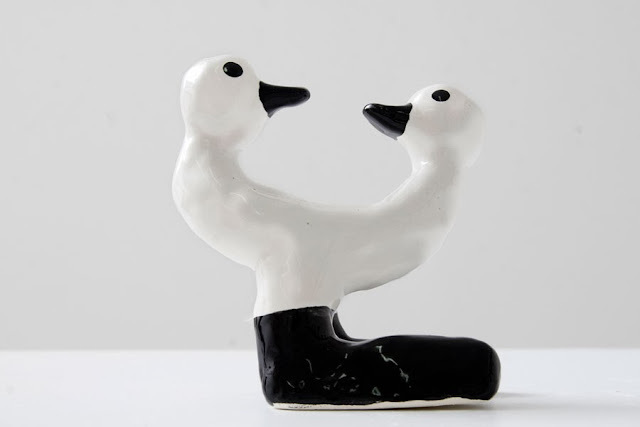 And sometimes it's about two headed ducks wearing a giant shoe. 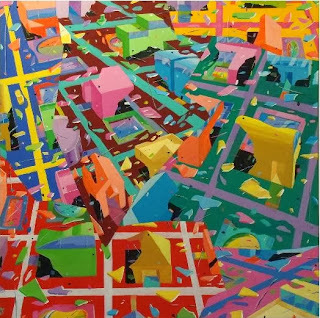 Danielle Frankenthal: Turbulence at Wade Wilson Art, 6 to 8 pm. She has an interesting interactive painting up at CAMH, so what better time for a solo gallery show? Houston vs Austin featuring James Burns, Chris Cascio, Galina Kurlat, Jonathan Leach, Patrick Turk, Jerry Defrese, Hector Hernandez, Syraya Horton, Koseph Phillips and Lana Waldrep at BLUEorange Contemporary, 6–9 pm. Galina Kurlat appears in her second opening in two nights in this potential bloodbath pitting Houston artists against Austin artists. Maybe they can get John Nova Lomax to officiate. Art Hard by Meredith Danluck at Cinema 16 at 9:00 pm. Jim Deneven makes the world's largest work of art on Lake Baikal. 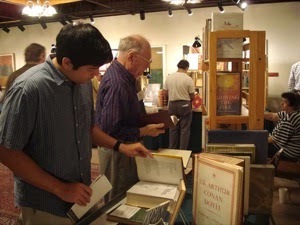 11th Annual Book Fair at the Museum of Printing History, 10 am – 5 pm. Oh so many lovely books, including plenty of art books from Exquisite Corpse. Charlie Ahearn’s Hip-Hop Videos at Cinema 16 at 1 pm. From the director of Wild Style, nine videos that look totally fun. 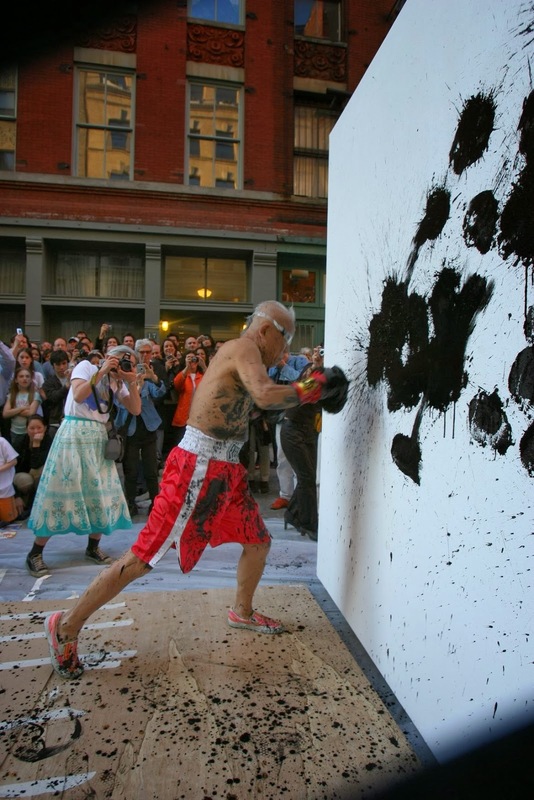 PERRY HOUSE "Explosions" at HBU Contemporary Art Gallery, 1 to 4 pm. OK, this is a bit mysterious since it is not listed on HBU's way out of date webpage. It is listed on Glasstire, though. And Perry House is always worth seeing. Persistence of Vision by Kevin Schreck at Sundance cinemas at 3:30 pm. A documentary about an unfinished animated film by the great Richard Williams. North of South, West of East at Cinema 16 at 4 pm. 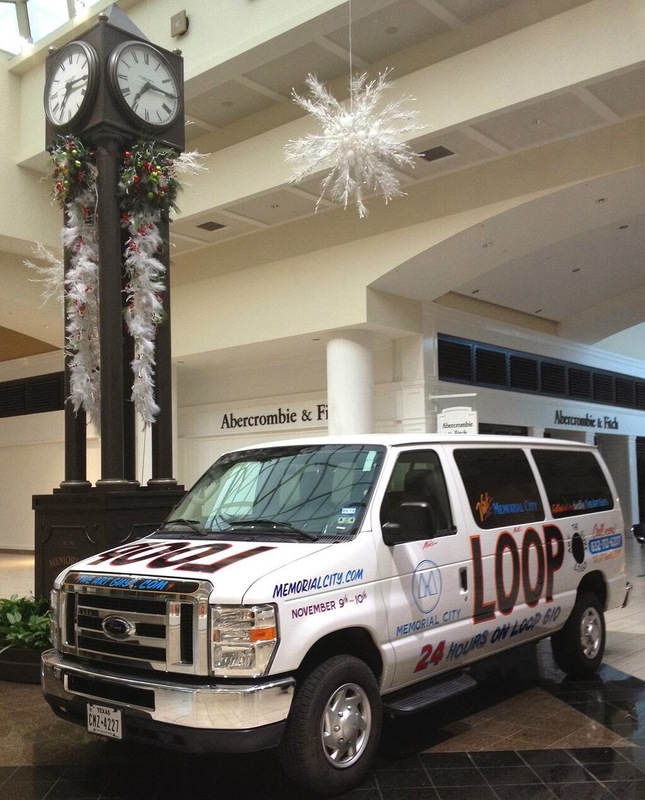 The Art Guys: Loop along the 610 Loop from 5 pm Saturday to 5 pm Sunday. The 11th of their 12 events, they will drive around 610 Loop in the van pictured above (currently on view at Memorial City Mall--take that, Galleria!) for 24 hours. They will stay in contact with people via Facebook and Twitter, and you can just call the Guys up during the performance on a temporary phone line, 832-712-6207. Of course, you could just drive along side them--their van will be easy to spot! Life Goes On… I Keep Singing by Jonas Mekas at Deborah Colton Gallery, 6 pm. Photos and videos by the great Jonas Mekas. 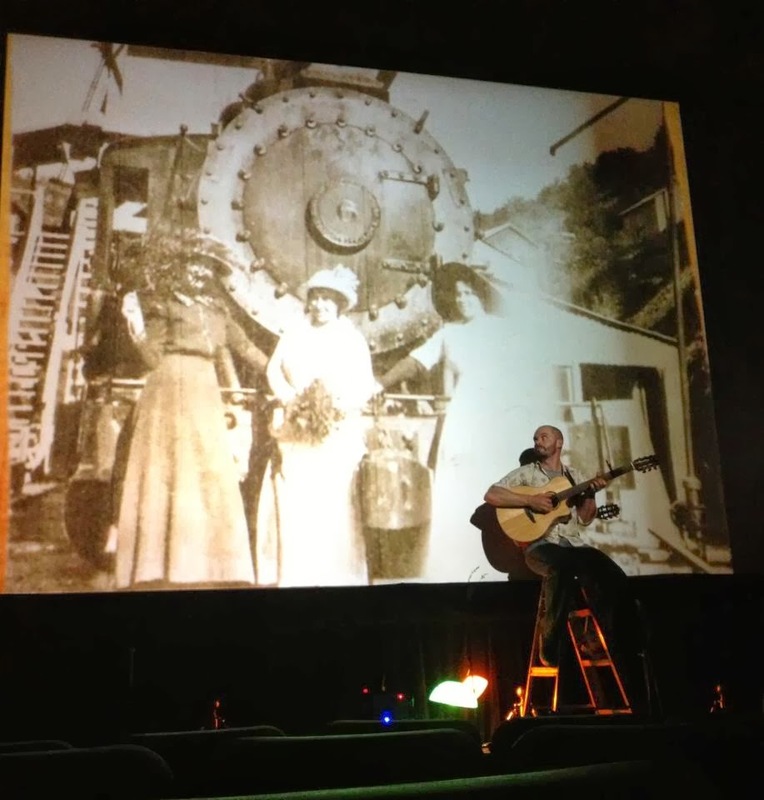 Jeremy Rourke: Live Music and Animation at Cinema 16 at 8:15. Jeremy Rourke is a musician/anumator who will be combining the two. Wild Style by Charlie Ahearn at Sundance Cinema at 9:45 pm. If you want to be reminded that hip hop is old, watch this classic movie, Wild Style, from 1983. One of several Charlie Ahearn movies being shown at the festival. Madeleine Dietz: What Remains at Gallery Sonja Roesch, 5–7 pm. These very interesting pieces toy with being architecture or interior decoration. Their liminal ambiguity combined with their beauty appeals to me a lot. Time Shift: The Films of Scott Stark at Cinema 16 at 1:00 pm. Austin experimental filmmaker Scott Stark is showcased. Approved for Adoption at Sundance Cinema at 1:15 pm. Interesting looking autobiographical film by cartoonist Jung Hemin. Born in South Korea, he was adopted and brought up in Belgium. His comics work looks (to my eyes) like typical Belgian adventure comics (with Asian settings). I can't find any examples of more personal comics work by Jung Hemin--except this movie. North of South, West of East at Cinema 16, 6:15 pm and 8:45. Antonio Berni: Juanito and Ramona at the Museum of Fine Arts, 10 am – 5 pm. 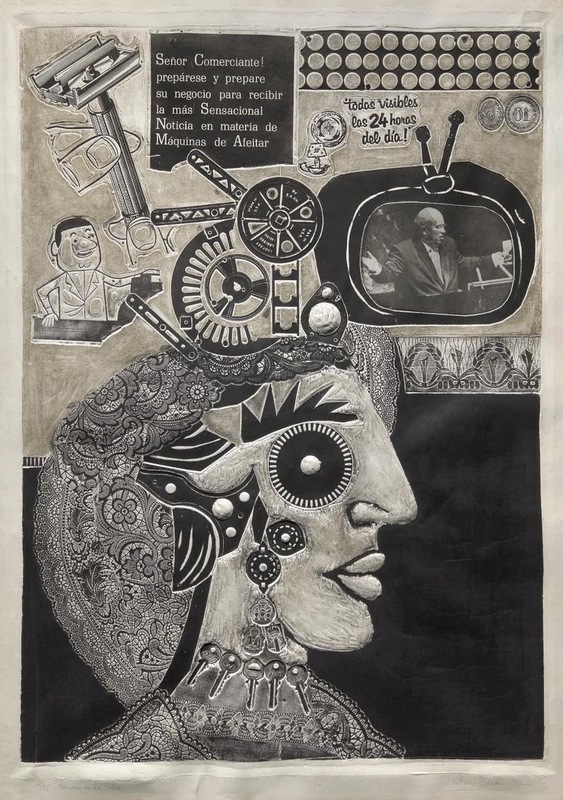 Argentine artist Antonio Berni created his characters Juanito and Ramona in the mid-50s and continued to depict them in various media for the rest of his life. This show brings them together in the U.S. for the first time. Life Goes On… I Keep Singing at Deborah Colton Gallery at 9:30 am. 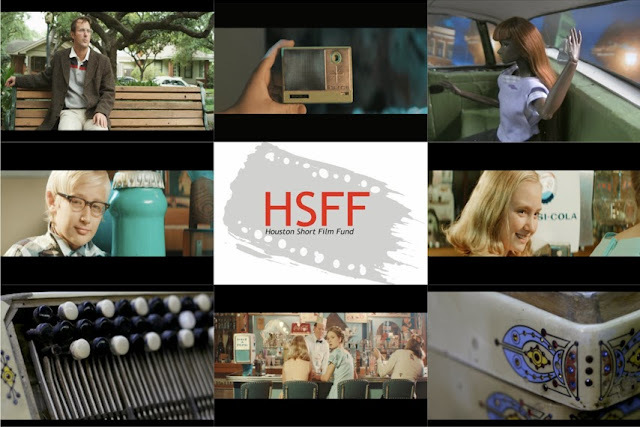 Houston Short Film Fund: World Premiere Screening featuring Kathryn Kane, Lauren Kelley, Douglas Newman, Jerry Ochoa and more at Sundance Cinema at 6:45. SWAMP (the best acronym ever) helped fund these short films by Houston filmmakers.